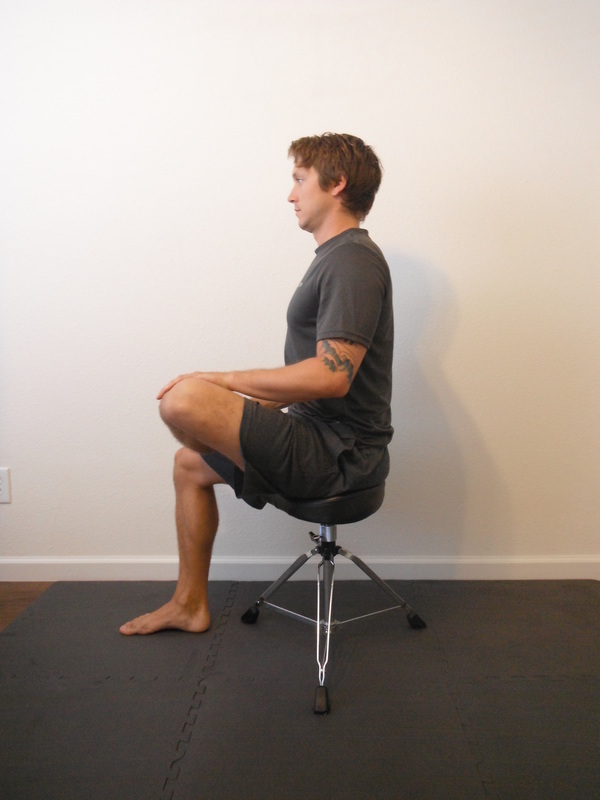 ​Begin sitting upright on edge of chair. Maintain good posture with flat low back. Fully extend one leg. 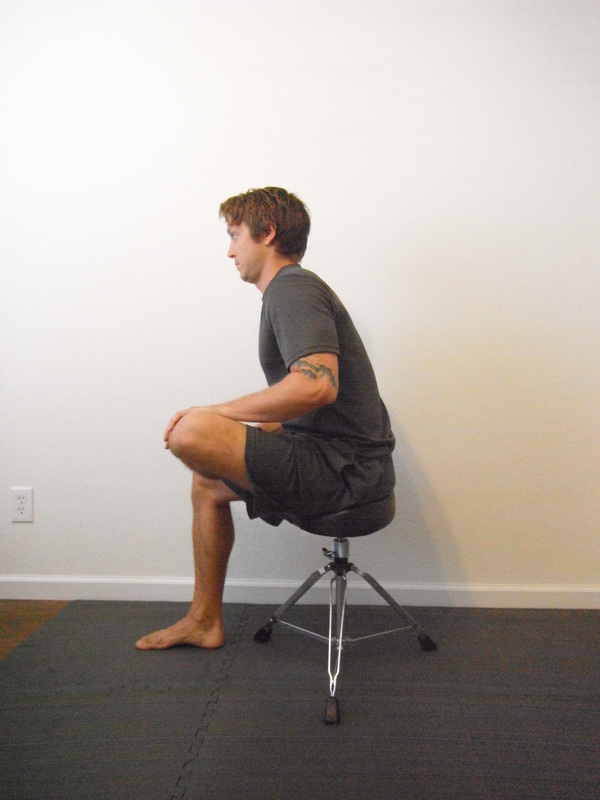 ​Begin sitting with neutral spine. Cross one leg over other, placing ankle on opposite thigh above knee. 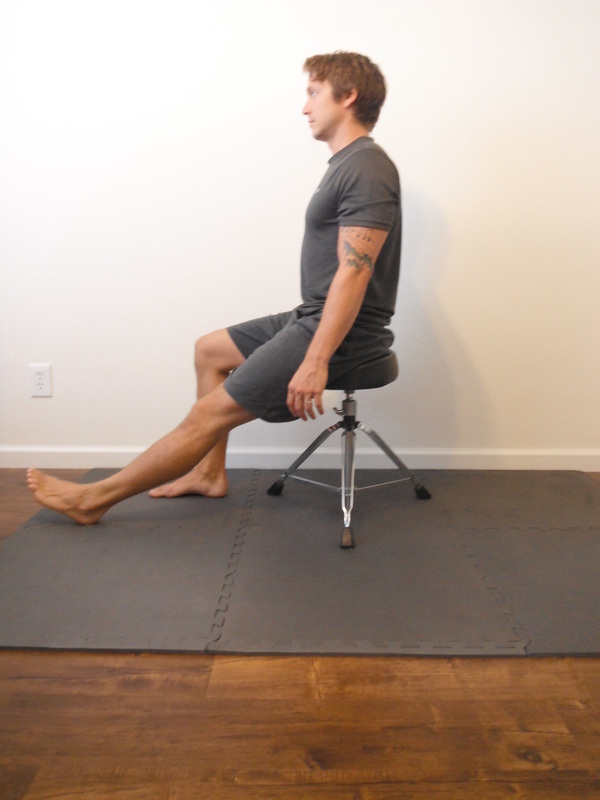 ​Slowly lower chest down toward knee. Keep a flat low back. 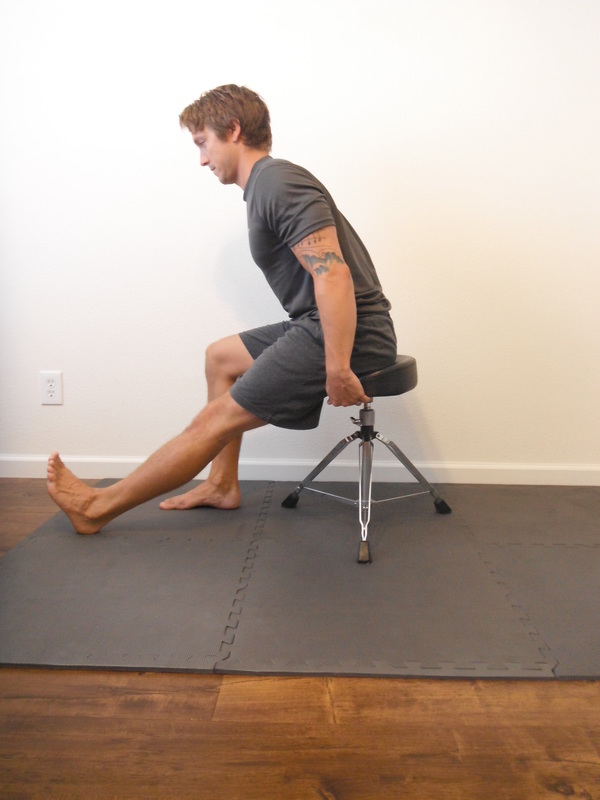 Stretch should be felt in hip of crossed leg. ​Begin Standing next to wall. Side to be stretched should be closer to the wall. Place one hand/forearm on the wall, leg closest to wall crosses behind opposite leg. ​Slowly lean hips toward wall until gentle stretch is felt in the outside hip area. ​Begin lying on back with one leg flexed foot flat on floor. 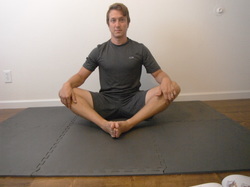 Bring opposite knee toward chest, interlock fingers around knee.